Sharecost Rentals has been in Nanaimo since the 1970s. Sharecost Rentals & Sales, as we know it today, burst through the gates in the Fall of 1997 when local businessmen Daryl Stech and Ray Sabourin purchased a struggling business. 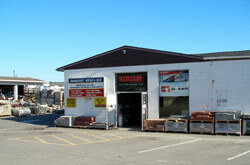 Over the ensuing years, Sharecost was developed into a successful business, offering rental equipment, top quality landscaping products (such as natural stone benches and columns, bricks and pavers, retaining wall stone and blocks, and pond supplies), and a gravel mart with the largest choice of products in Nanaimo. Our customer-centered business model has continued to prove itself, allowing us to expand our product selection, rental equipment, and services over the past 15 years to meet increasing customer needs. At Sharecost, we’re proud that we have been Nanaimo owned and operated for nearly 40 years – and it’s a tradition we’re not about to change anytime soon. 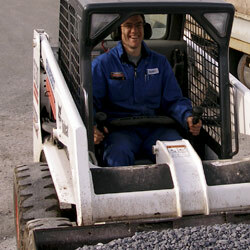 Friendly, attentive service is what we’re famous for (that’s David in the skid-steer). With Daryl slated to retire soon, he will be passing the business into the (capable) hands of his son, David. With this, Sharecost is guaranteed to remain locally owned and operated into the distant future. Our new management team will continue to offer you the friendliest and most attentive service in town – a service that all deserve, and that many have come to expect from the Sharecost name! Of course, none of this would be possible without the fantastic, loyal support we’ve had from the Vancouver Island community since our very beginning. Thank you.